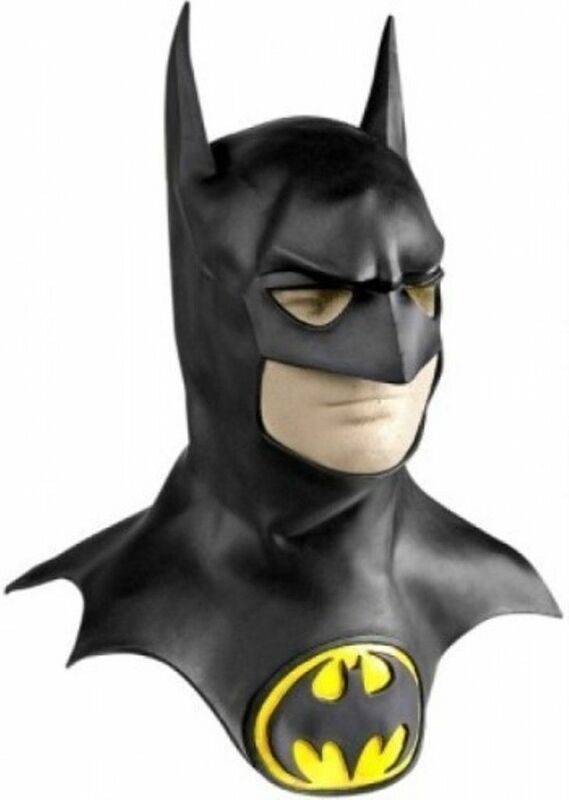 Batman Mask with Cowl Such a classic! Batty details: -velcro opening in the back for an easy fit -open face concept allows you to eat, talk, drink etc -1992 DC Comics is embossed at the back -trademark of DC Comics -snug fitWhether you are a mask collector or just enjoy wearing them, the acquisition of this collector's Batman mask with cowl, will be a great addition to your collection! Wonderful gift idea!